Who doesn’t love tacos? Nobody! That’s who! 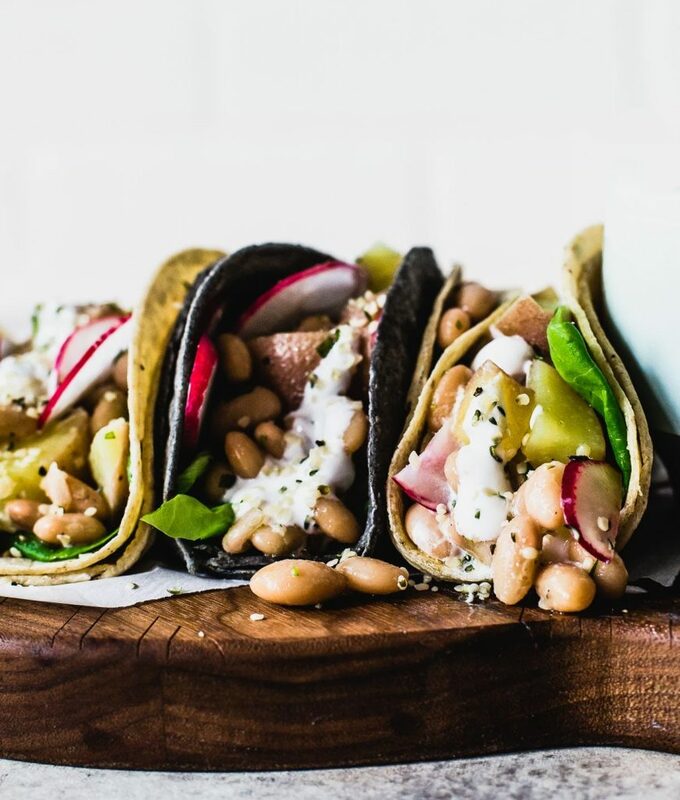 Because you can put pretty much anything you like in a taco–and when it comes to vegetarian taco recipes, there’s so much more creativity involved because you’re no longer beholden to traditional beef, pork, chicken, or fish fillings. 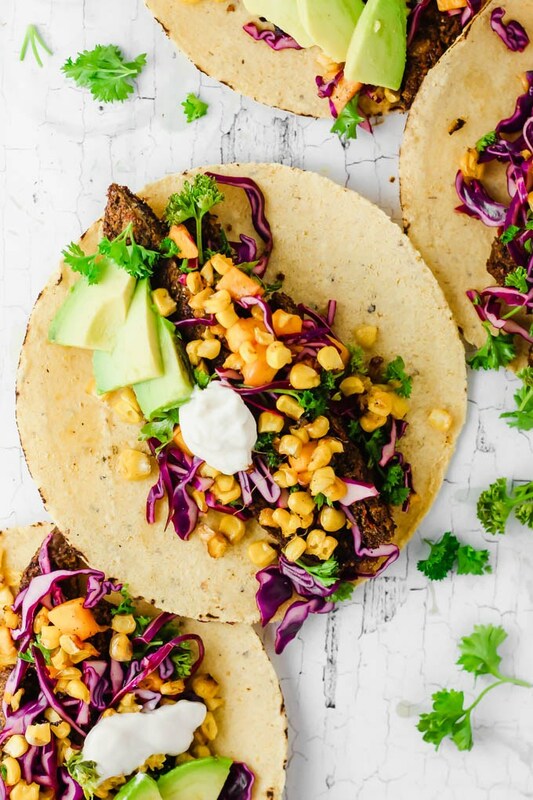 Grab your favorite tortillas (perhaps these grain-free coconut flour ones?) 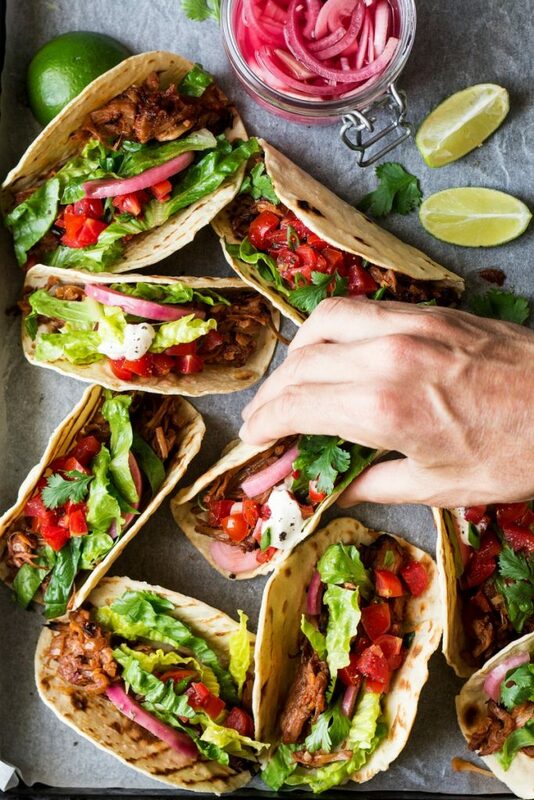 and get ready, because it’s taco time, people. 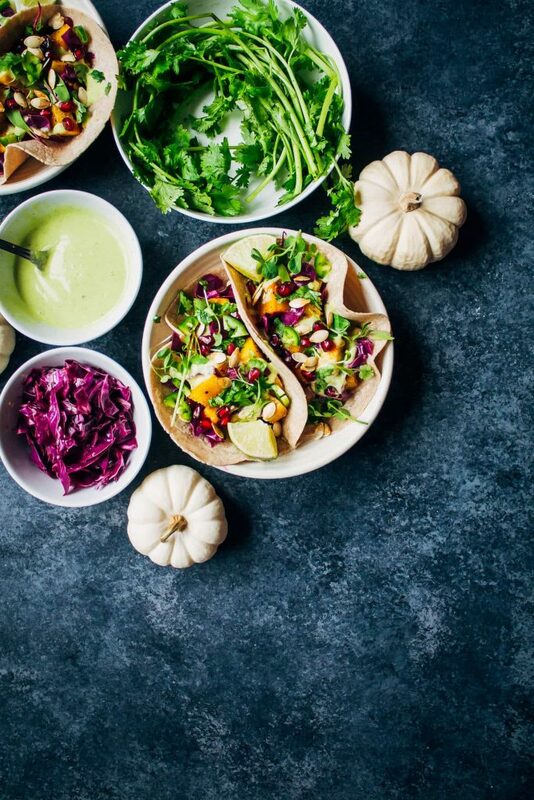 Alissa from Connoisseurus Veg stopped by to share these irresistible tofu tacos. And no, you don’t even have to deep-fry the tofu for a perfectly crisp exterior. 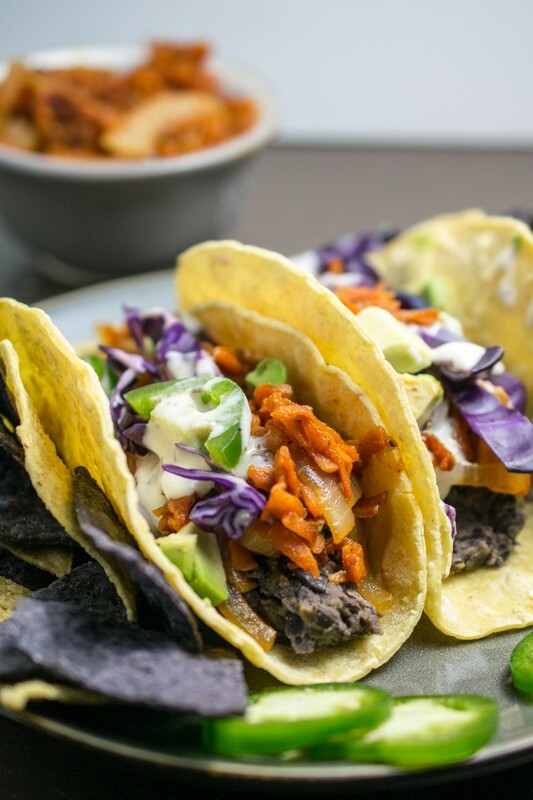 Replace the pork with carrots and you’ve got a vegan BBQ taco that will knock your socks off. Chimichurri: it’s not just for steak. 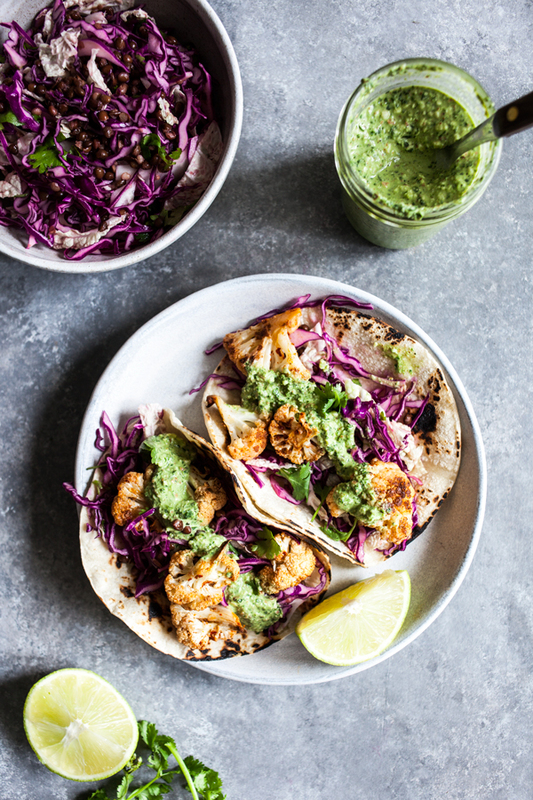 It’s also for topping these oven-roasted cauliflower tacos. Fusion cuisine at its finest! 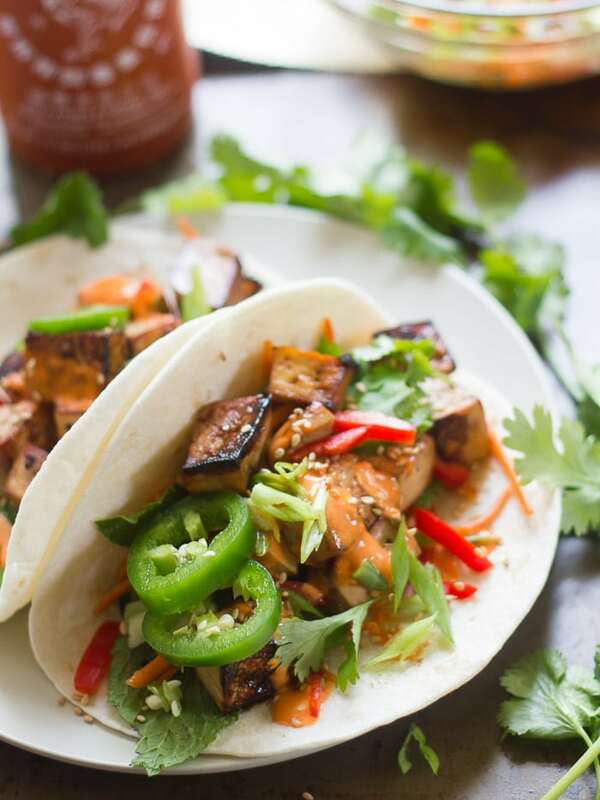 Sriracha mayo and jalapeño add a kick to these Vietnamese-inspired tacos. It’s almost corn season. Get excited! And get ready to make some corn tacos. 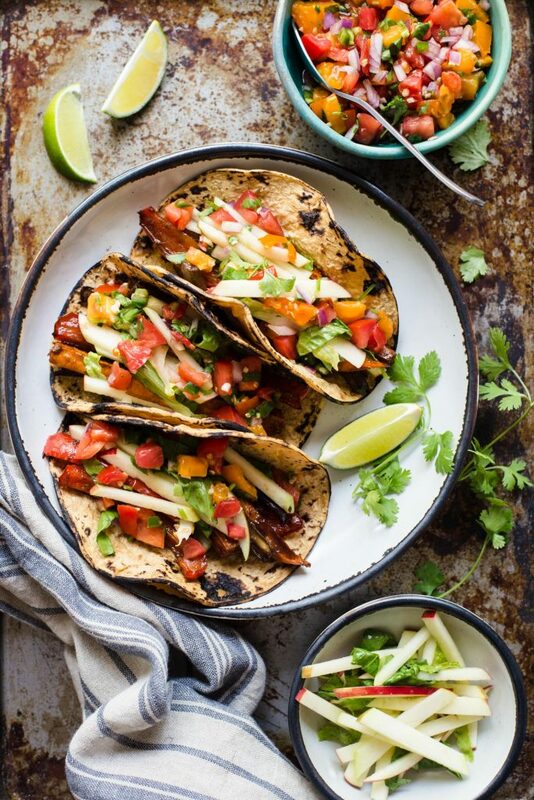 Tamarind paste makes the roasted veggies in these tacos sticky and sour–which pairs perfectly with a sweet apple slaw. Jackfruit, the OG stand-in for pulled pork, is especially delicious with a smoky homemade sauce. 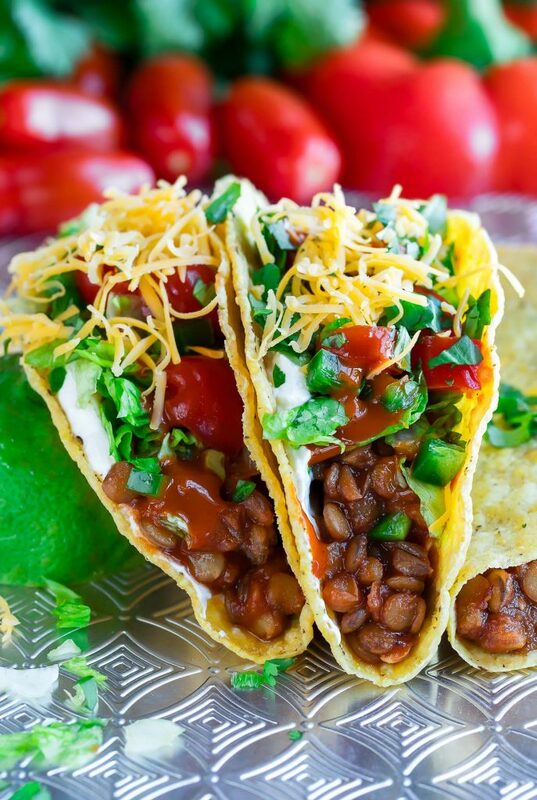 Using a store-bought enchilada sauce as a base means you can make these lentil tacos in minutes. Yes! Can’t wait until fall to make these? Me neither! Try using butternut or acorn squash instead until fresh pumpkins are available again. 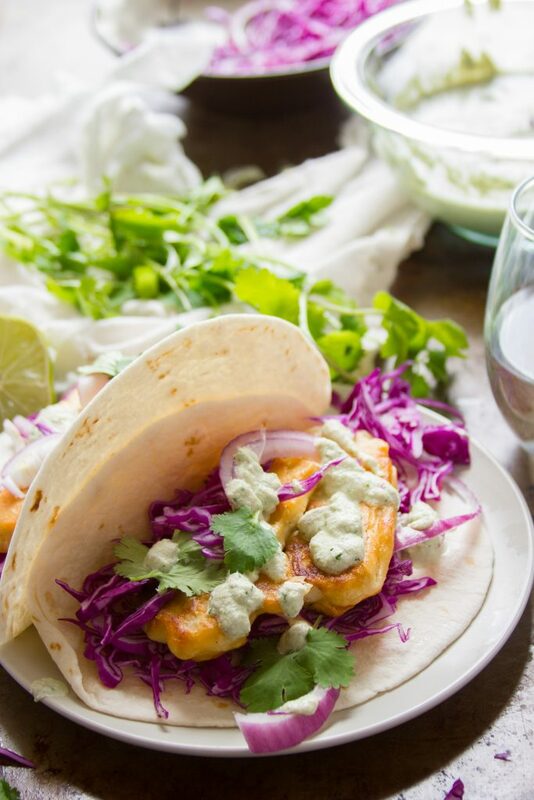 These gorgeous tacos are the perfect combination of creamy (hello yogurt sauce!) and crunchy (fresh spring radishes! ).